Georgian Civil Aviation Agency First Deputy Director Igor Aptsiauri told Agenda.ge Georgian Airways also had the right to operate flights between Georgia and Iran however the airline had chosen not to do this. Additionally, the frequency of flights between Georgia and existing destinations has increased, said the Georgian Civil Aviation Agency official. "There was only one flight between Thessaloniki [Saloniki] in Greece and Tbilisi which was launched by Ellinair. Now one more flight has been added to this route,” said Aptsiauri. "Georgian Airways will add four more flights to Yerevan [increasing the frequency of flights to eight per week] from Tbilisi beginning August 1, 2015. From August 8 the airline will operate additional flights between Tbilisi and Odessa (Ukraine) [two flights per week instead of one],” he said. "As for the activity towards Iraq, Georgian Airways launched flights from Tbilisi, as well as from Batumi, to Iraq. 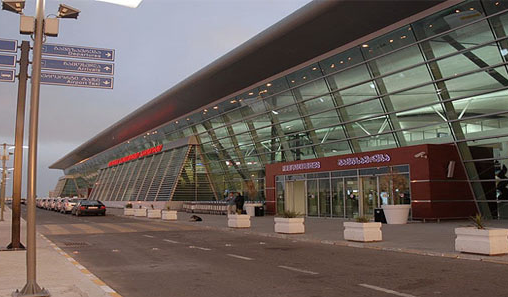 Tbilisi-Erbil flights started from July 16 while Batumi-Erbil flights launched on July 27,” Aptsiauri added. Georgia’s National Tourism Administration allocated 8 million GEL this year to internationally promote the country as a tourism destination. This amount of money was far more than what had ever been spent in previous years. 'Summer in Georgia' was the name of a campaign that launched in Latvia earlier this year, where 70 billboards showing images of Georgian landscape were displayed in several Latvian cities. The Administration launched the same campaign in Azerbaijan, Turkey, Ukraine, Kazakhstan, Belarus, Hungary, Lithuania, Israel and Russia. Groups of journalists and camera operators from various countries were invited to Georgia to travel around the country and prepare reports about Georgia’s tourism potential for leading world media outlets. Thanks to this promotion and the easing of Georgia’s visa rules, the country welcomed more tourists this summer. Official statistics showed more than three million international guests spent time in Georgia this year; an increase on previous years. Latest data from the Information-Analytical Department of the Ministry of Internal Affairs showed in July this year the number of visitors to Georgia was 9.5 percent higher than in the same month in 2014. Furthermore in July 2014 visitor numbers was 9.8 percent higher than the same period of 2013. Last month alone data showed Georgia welcomed 737,696 visitors. Of this 336,664 were tourists; a 2.2 percent increase year-on-year (y/y). Also last month 182,693 visitors used Georgia as a transit country - a 24.7 percent increase from last year. The remaining 218,339 people came for other purposes, which was a 10.4 percent increase compared to 2014.